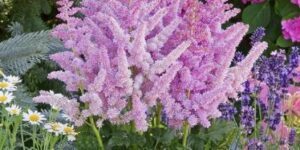 Full Pink Spring Blooms The Astilbe ‘ Peach Blossom’, is a brilliant pink and quite the handsome plant for the perennial border. 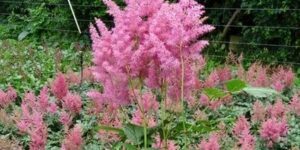 It produces masses of full pink feathery flower plumes and has fern like lacy dark green foliage. 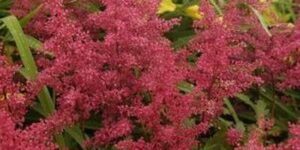 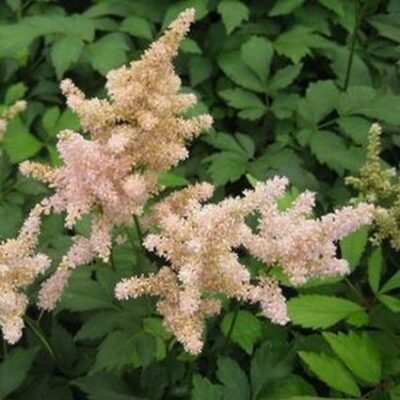 Astilbe is admired for its attractive foliage and elegant flower plumes, attracting butterfiles and hummingbirds. 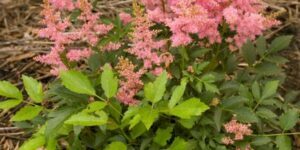 These spring blooming beauties are ideal for borders, containers, and gardens on the edge of woodlands. 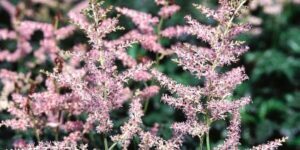 Astilbe needs well drained, but moist and highly organic soil; humusy forest gardens are a perfect example of where these plants will thrive. 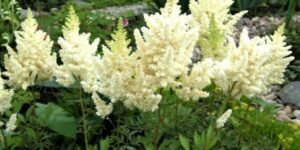 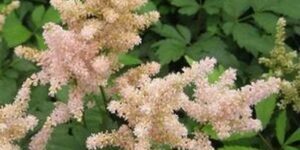 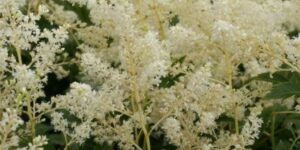 This is one of the most drought tolerant astilbe.